Front view of the exterior of the house. 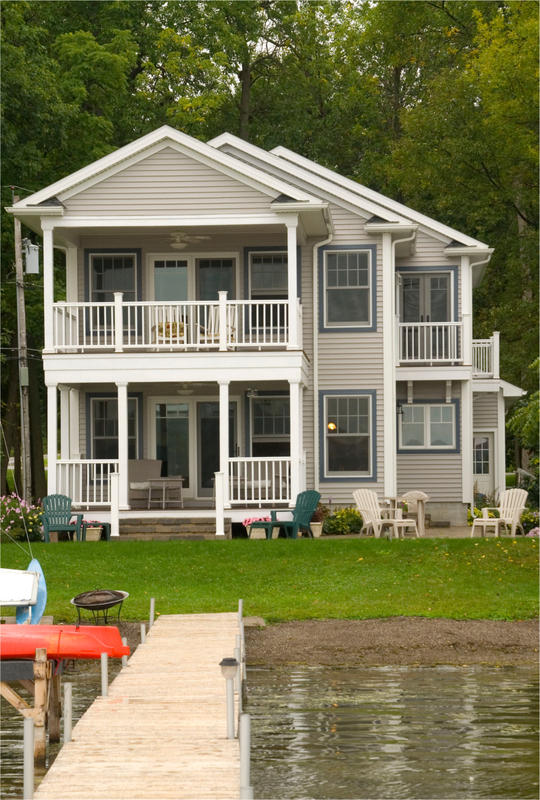 The house is designed to provide a view of the lake from numerous offset rooms. 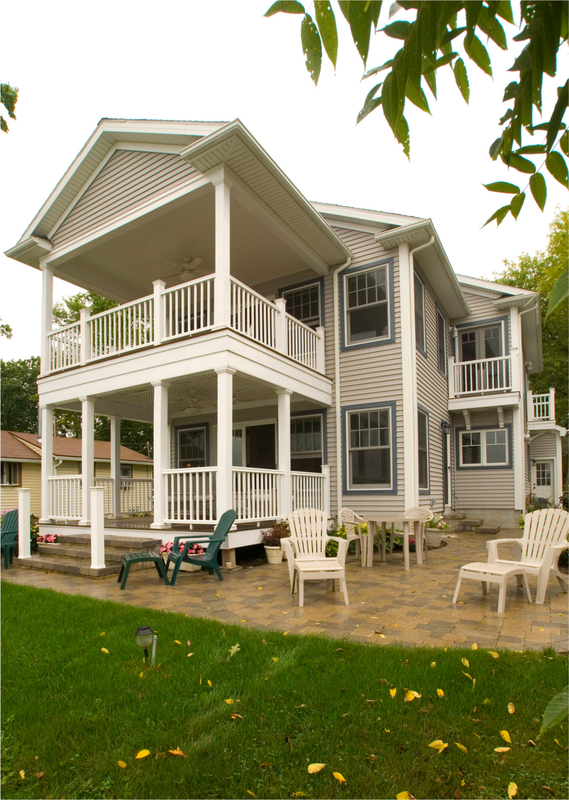 An exterior view of the house, displaying two level porches with white railings and columns. 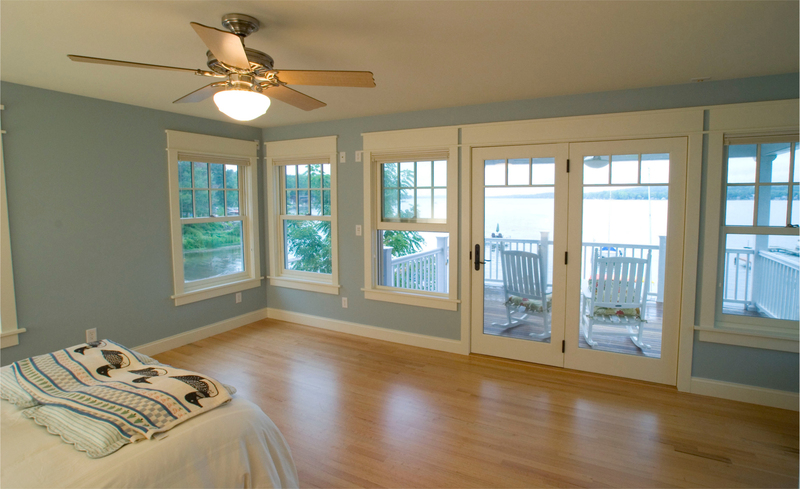 The view from the master bedroom, overlooking the spacious porch and many windows to lighten the room. 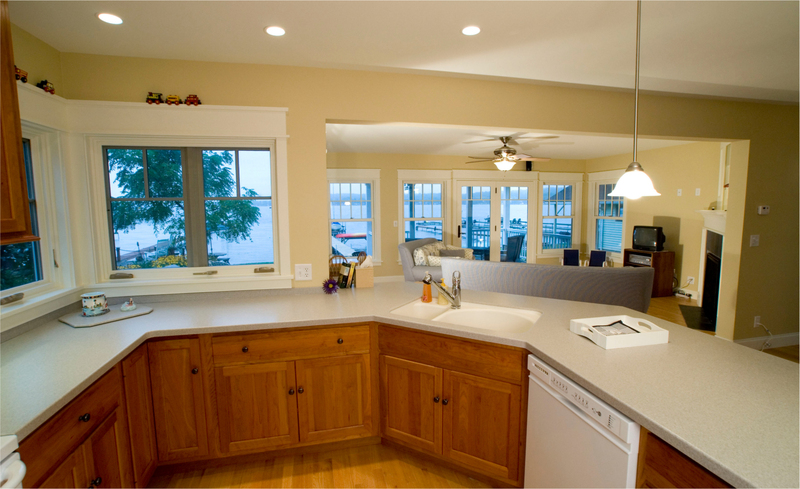 The kitchen and living room flow openly and each room has windows that provide a view of the lake. 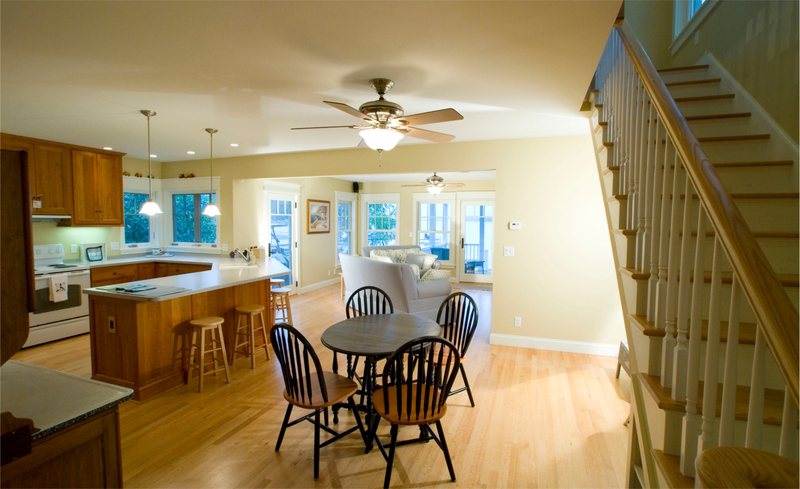 Another view of the airy, light-filled kitchen and living room.